For more than 100 years, the Chicago Bahá’í community has played a unique and influential role in the development of the Bahá’í community in the United States. 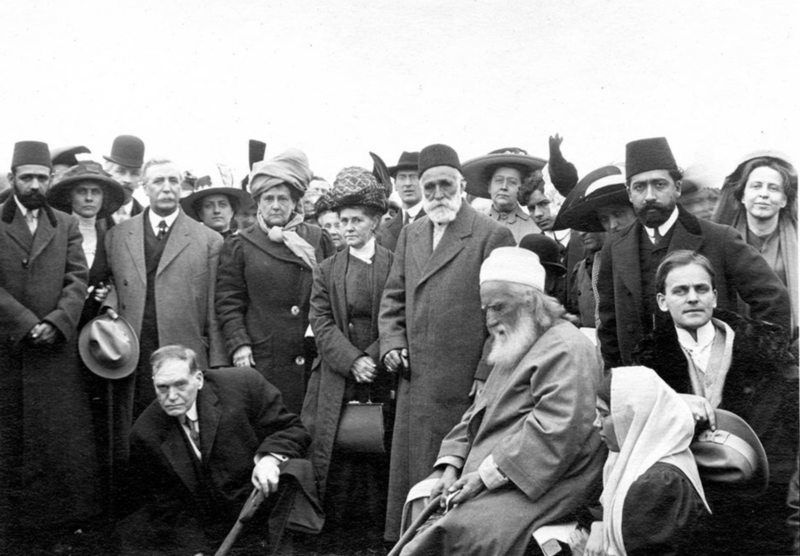 Now a global community with five million members, the Bahá’í Faith was first mentioned publicly in the Americas at the 1893 Parliament of the World’s Religions, held during the Chicago World’s Fair. 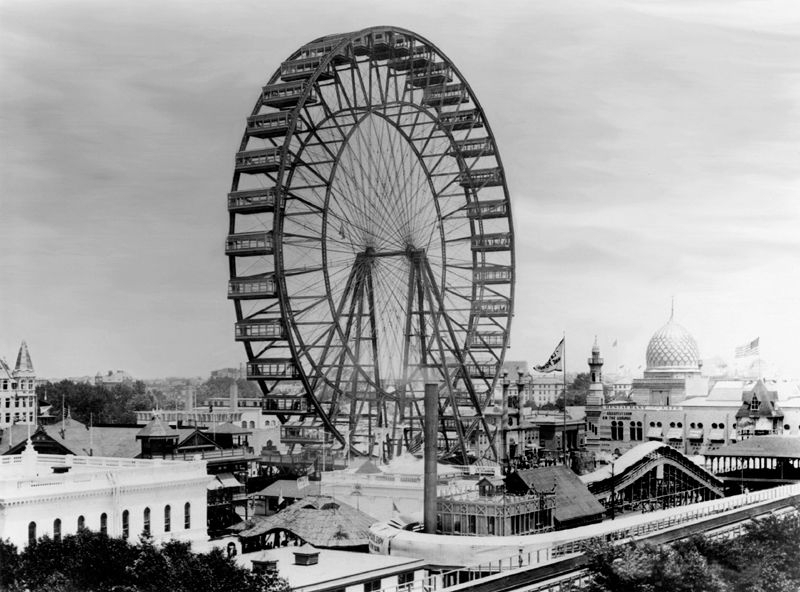 The Ferris wheel at the 1893 World’s Fair in Chicago. Six years later, Chicago’s Bahá’ís took another historic step forward. There is no clergy in the Bahá’í Faith and Bahá’í communities are governed by nine-member elected councils called Spiritual Assemblies. 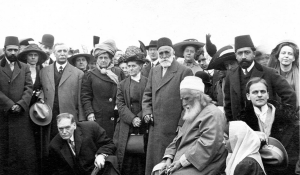 In 1899 the Bahá’ís of Chicago elected the continent’s first Local Spiritual Assembly. By 1907, the Bahá’ís of Chicago gained the distinction of being the first local Bahá’í community in the world to establish and gain legal recognition for its Local Spiritual Assembly. More than a thousand Local Spiritual Assemblies now function across the United States. 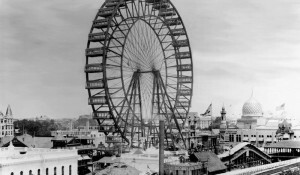 In 1912, `Abdu’l-Bahá, Bahá’u’lláh’s son and named by Bahá’u’lláh as the sole authorized interpreter of His teachings, visited Chicago and the surrounding localities. He gave talks throughout the city and met with prominent faith and community leaders, describing Chicago as the vibrant and influential heart of the North American continent. During `Abdu’l-Bahá’s visit, He personally laid the cornerstone for the Bahá’í House of Worship located in Wilmette, just north of Chicago. From that day until 1952 the Bahá’í communities in the region worked tirelessly to complete the House of Worship, relying exclusively on donations from Bahá’ís around the world. This haven of peace and beauty is now open to people of all faiths and is the only Bahá’í temple on the North American continent. From the laying of that cornerstone, 40 years of sacrificial work by the Bahá’í communities of the region, paid for exclusively through the contributions of Bahá’ís around the world, ultimately completed the House of Worship. Like all Bahá’í Houses of Worship, its nine-sided architecture and gardens symbolize unity and are offered as a place for all to commune with God. The quiet serenity of the House of Worship reflects the core spiritual truths of the Bahá’í Faith: there is only one God, all humanity is one family, and there is one divine Source for all religions.